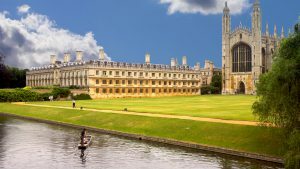 The University of Cambridge is looking for mentors based in the US to advise their portfolio companies and help them grow into global leaders. They selected five of their portfolio companies to take part in this pilot programme. All of these companies are starting from brilliant minds and world-leading Cambridge science. With a great mentor on board we can increase the chances of building a truly successful company with global impact. Mentoring is proven to help support success in this difficult early stage of a growing company, when the failure rate can be high. Mentored companies are 3x more likely to be successful. Could you help one of these companies build cross-Atlantic connections with potential collaborators and customers? More importantly, could you contribute a US sense of scale to their strategic thinking? Let Kate know if you’d like to get involved. Below are the videos of the companies seeking mentors.